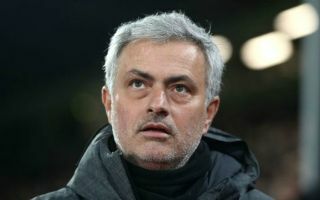 Man Utd boss Jose Mourinho is reportedly keen for a Barcelona star to be included in a deal if Paul Pogba moves to the Nou Camp. As per the Metro, the French international has been speaking about a touted move to the Catalan giants again this weekend, sparking further speculation over his future. Given his importance and starring role for the Red Devils, it would be a major loss for them if he opted to move on. According to Don Balon though, Mourinho wants Jordi Alba to be included in a possible swap deal if he is forced to see the World Cup winner leave Old Trafford, although finances are not mentioned to even the deal out. In truth, it doesn’t really seem like the most sensible transfer demand from a Man Utd perspective, as they’ll surely prioritise filling the void in midfield that will be left behind if Pogba leaves. Further, with Luke Shaw enjoying a positive start to the new season and solidifying himself as the first-choice left-back at the club, it would seem strange to then sign another player in that department to push him down the pecking order. Don Balon have been known to come up with some outlandish reports in the past, and so question marks have to be raised over how accurate this suggestion is. Nevertheless, the possibility of Pogba leaving has been widely reported for some time now though, and should he move on, securing a swap deal of some sort with Barcelona would certainly make sense to address a more prominent issue in the current squad at Mourinho’s disposal. In addition, with a lack of quality back-up options behind Alba, Barcelona would also be giving themselves a headache in defence by leaving themselves light in that department if they allowed the Spaniard to leave.